Ever scratch your head and wonder what the exterior of your Halifax home is missing? Sometimes it takes just one thing to give your property ultimate curb appeal, however pinning it down can be difficult. After you’ve spent (too much) time eye-balling the front porch and have finally given up, read our suggestions below for tips on elements that will put the finishing touches on your home front. In the grand scheme of your elaborate design, the door is the centerpiece. 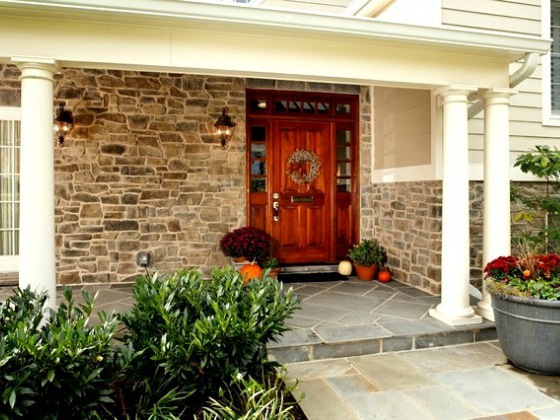 Two things should define the entry door: 1) how inviting and warm it feels to a guest and 2) how well it matches the home in both color and style. A dirty frame that is falling apart, stained walls, or a porch with chipping paint will cancel out a beautiful door every time. If you’re going to invest in an elaborate entry door, you need to inlay inside a clean, sharp frame and area. Is the Trim Boring and Outdated? Do this: find a window trim color that contrasts with the color of the window frame and the siding or brick on the outside (within good taste of course). Install the trim around the windows and step back to the curb. You’ll see your windows as you’ve never seen them before. Few things are as unsightly as concrete steps filled with cracks and crumbled pieces. Replace the steps, but then go one step further. Paint the risers a contrasting colour to stand out. Nothing is more inviting to a front porch than a rocking chair or a porch swing. Even a few stylish chairs or a custom-crafted bench would give your guests a place to sit on a warm day. Try to find chairs that have identical or matching colors to the colors of your home exterior or front porch. Many home fronts are filled with plants, furniture, chimes, statues, wall hangings, and plenty of other accessories. The problem is that none of them match, and they take away from the design of the home itself. As you begin to decorate your home, carefully select accessories that complement each other and match the house. If you’re serious about taking your home design to the next level, contact Case Design/Remodeling. We provide professional kitchen, bathroom, and basement remodeling. 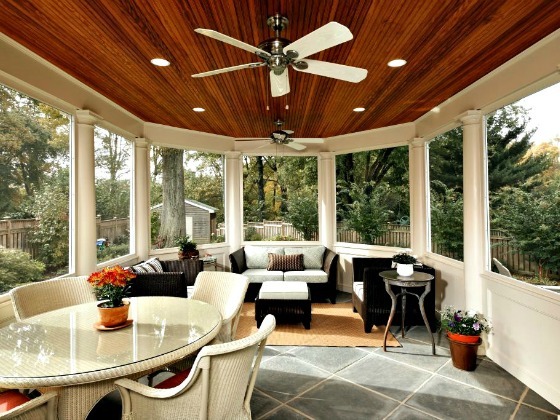 We also offer home additions and other high-end home improvement projects. If you’re a homeowner in Halifax, Bedford, Dartmouth, and surrounding areas of Nova Scotia, then call us for a consultation at (902) 454-2273, halifax@caseremodeling.com.